JN Roofing provided excellent service. From initial contact to installation, we were impressed by the work provided. The quote was explained and easily understood. Work was started and completed on time. The crew was polite, courteous, and friendly. They went out of their way to answer any questions and took great care in completing everything to the best of their abilities. The new roof looks great and we are very happy with our decision to work with JN Roofing. Thank-you for taking the time to provide your valuable feed back. It is greatly appreciated. We always strive to ensure our customers are well informed and the job we do for them is done to their satisfaction.Enjoy your new roof! So nice to have a local company do such a great job on our new roof! From our initial meeting with Jason to Mike and his crew doing the installation even right down to the waste removal/bin company all were awesome! The roof looks fabulous our backyard sparkling clean. The crew were all kind and super approachable. There was minimal clean-up on our part. Our pool and equipment was kept safe which was our biggest concern. Thank you for all those compliments and we are extremely thrilled you love your new roof. We find it important to protect entire property of the home owner and the clean up just as much of a priority. Enjoy the summer with your pool and new roof! These people are awesome. Jason explained everything in detail and made me very comfortable with my decision to choose his services. The whole experience was professional and friendly and the roof looks fantastic. The crew were hardworking and did such a good job. I am so pleased. Please call Jason if you need roofing. You will not be disappointed. Thank you for writing this review. I am glad the whole process was explained to you properly. Enjoy your new roof!! Jason met with me and went over their roofing system package with great detail in regard to my roof needs. A roof is more than just shingles and he made sure I was educated on every aspect of what the job required. It didn’t take long for me to make up my mind and give them the job. He was on the phone instantly and I was thrilled to learn that his crew would be available for Saturday of that same week! Materials were delivered the night before, and the day of the job everyone showed up on time and worked tirelessly throughout the day to get the job done. Everything went smooth, the new roof looks fantastic and my property was left the way it was found. If you’re looking for a company who truly cares about their workmanship, and the overall satisfaction of their customers, do not hesitate to call JN roofing and contractors! Thanks Bryan. A good start to the new 2019 season! We feel it is important to educate the consumer on the whole process so they know we are a trusted company. 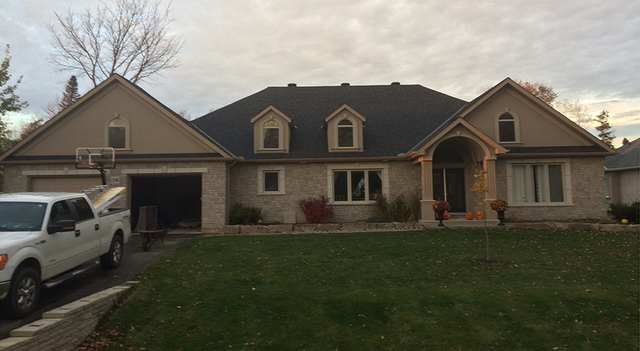 Enjoy your new roof and Thank-you for choosing JN ROOFING AND CONTRACTING. Jason Mike and his team did my roof in January 2019 and they were one of the few roofers who seem to be actively doing projects at that time. 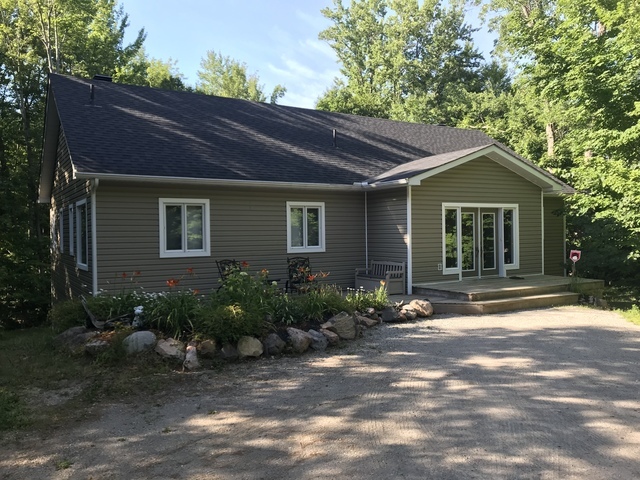 The job itself was done quickly professionally and reasonably which all add up to a great experience, so great in fact that I got them to tackle other jobs in this reno and I will do the same going forward. Highest recommendation for JN Roofing. It was nice to see this review. Mike is definitely an asset to our team. He is very knowledgeable and great with customers. We thrive on great service and thank you for choosing JN ROOFING. I contacted four roofing companies about getting my shingles replaced. I was pleased that Jason came by my home personally and sent me a quote that evening. The price was about mid-range of the four quotes I'd received and I felt it was good value. It was late in the season but JN Roofing was able to do the job in early December. The crew was efficient and left the yard very clean of debris. Recently I had some water leaking in the attic and called Jason, asking if he could help. The next day a guy came and replaced the defective vent and Jason called me to explain what had happened. I was please at how he resolved the issue. Thanks for the review. We thrive to give prompt and proffessional service at a competitive price. JN Roofing believes in standing by our workmanship. Thank you for choosing JN Roofing. We want to thank JN Roofing for installing our beautiful new roof. 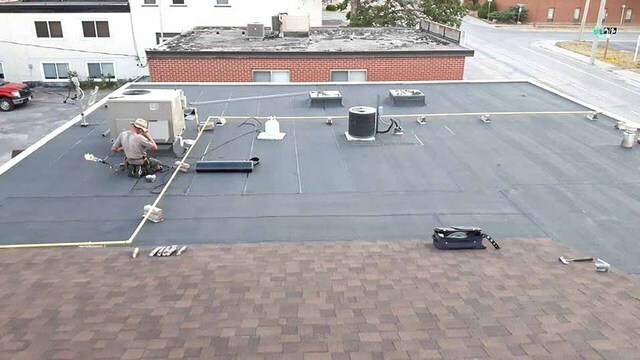 This company was so reliable and professional, everything arrived on schedule: the materials were delivered on the roof the week before, the bin arrived the day before the installation, and crew showed up bright and early on the day as scheduled. Everyone we dealt with was so pleasant and positive. When we were not happy with one of the finishing details on a part of the roof, Jason had a staff member there the next day and he changed the finish to the look we wanted. Excellent customer service! Its always nice to read such reviews as this. We want to continue giving rhe best customer service throughout the season. Its been a busy srason for the company but aim to please no matter how big or small the job. Thankyou once again for taking the time to write such postive remarks. Large house with defective shingles, now worry free! We have a large house and received very inconsistent quotes. Jason was professional, always responsive to our emails, and showed up when promised. His team worked on our large roof in one long day. It was such a relief to get a quality roof without having contractors over your head for weeks (like our neighbours). The next day we noticed a few minor things that needed to be touched up. His manager showed up and dealt with all the issues, in a very friendly manner. 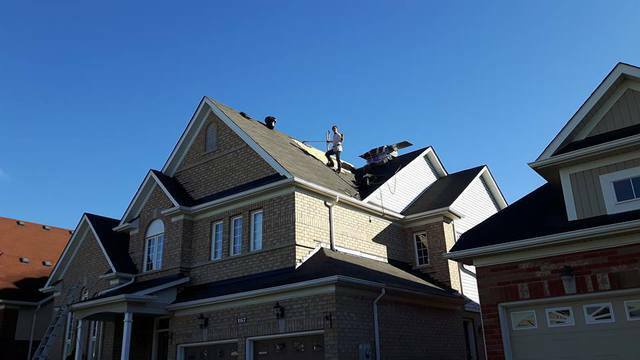 We have spoken highly of Jason and his hard working crew and if you are reading this, we highly recommend that you at least contact him to come in and take a look at your roof. Sue and Mo from Midhurst. Thank you Sue and Mo. It was a long day but we know how nice it is for the customer to get the bin removed and the noice finished! Thanks so much for the recommandation. 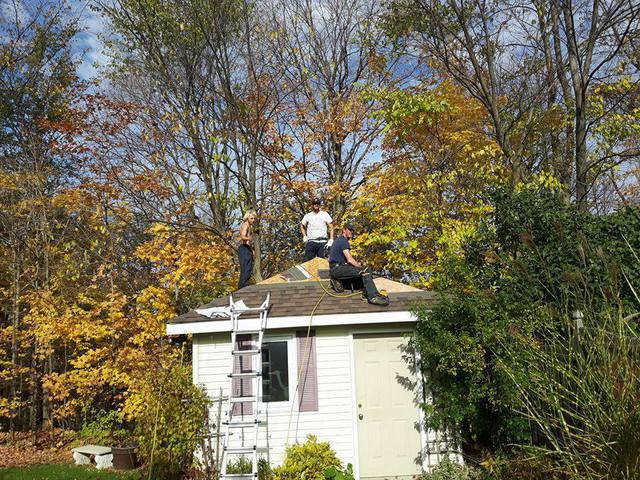 Jason and his crew did a great job re-shingling our roof in one day. They were very careful covering our deck and surrounding area with tarps and cleaned up the area completely. The best review was from our neighbors that say it looks fantastic. We highly recommend them. Thankyou for hiring and trusting in JN roofing to get the job done. You have a beautiful place. Hope you enjoy your new sun tunnel! JN Roofing came recommended to us and we are so grateful that they were. After dealing with roofing companies that didn’t bother to show up for arranged appointments, and receiving inconsistent quotes from others, we were thrilled to have a company show up on time; give us a reasonable quote; and deliver exactly what was promised. They employ a friendly, experienced crew who did an amazing job of getting the project done quickly and professionally. The following day showed no sign they were there except for the beautiful new roof that we could feel confident will last for years to come. Very happy to hear you love your new roof. The clean up is so important. Thankyou for choosing our company to do the job! 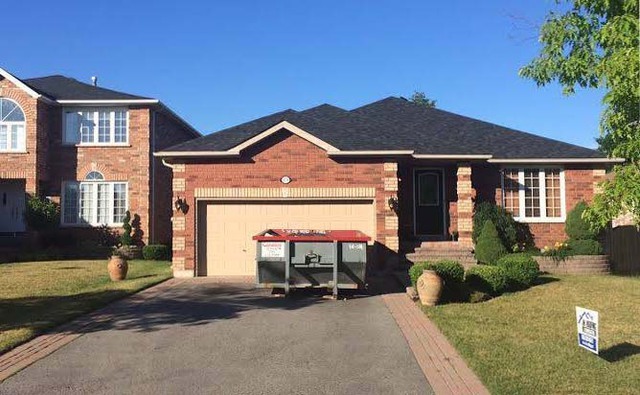 JN Roofing & Contracting is a roofing contractor servicing Barrie and Central Ontario. With over 27 years of experience, we issue warranty on our workmanship for a period of 10 years from the date of completion of any contract. For years, satisfied customers have expressed their appreciation for the quality of service we provide. That’s because our #1 goal is to make excellence our first priority.